People are strolling along the paved walkways of Williams Park. In the foreground, there is a circular, fenced area protecting a shrub. 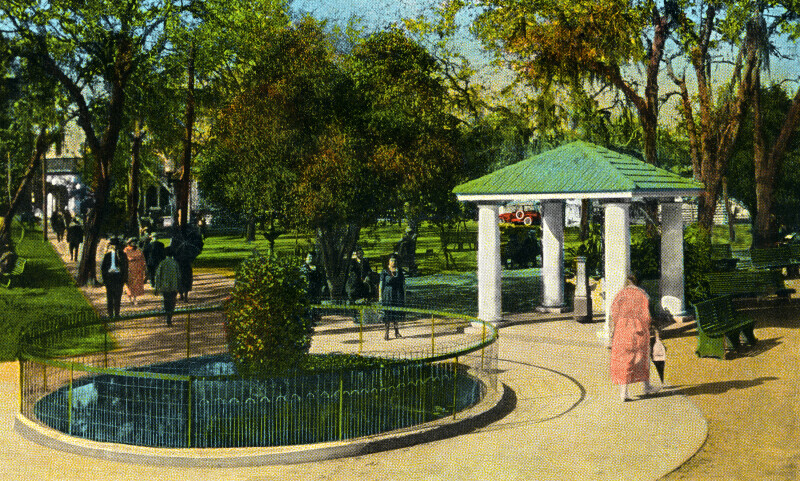 To the right, there is a drinking fountain under an open-sided, covered structure. There is an empty bench beside the structure.